Interested in taking advantage of Nissan’s College Graduate Program? Ready to start shopping this year’s lineup? Then we invite you to stop by the Gerald Nissan of Naperville showroom to speak with a member of our dedicated sales team. With a variety of vehicles to choose from, along with a variety of loan and lease options to match, our team is here to help you make the most of your college graduation. Conveniently located in Naperville, IL, and just a short drive away from Aurora, Naperville, Elgin and Schaumburg, we look forward to seeing you soon. 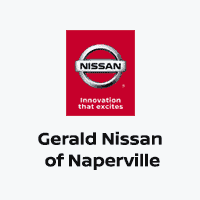 Gerald Nissan of Naperville	41.767043, -88.1874783.